Alan always says: “It’s amazing and fun to live in Leanne’s World…for everyone except Leanne.” Leanne uses her (diagnosed) ADHD (Look! A squirrel!) to her utmost advantage. Her ability to have six conversations and perform four tasks while juggling and putting on lipstick is really quite astounding. Odd that she is “drama-averse” while being a lightning rod for drama. Creatively at the edge, she is fun and brilliant and that’s all that matters. Leanne’s World IS a reality show waiting to happen. Connie is a public relations wizard. Connie is a math genius. Connie is a perfectionist and likes routine. Connie loves oversized plush slippers that resemble zoo animals. Connie is a bucket full of surprises that all join together like a Barrel of Monkeys. Remember that game? Connie does. Kevin is extremely resourceful. He is the most accommodating person in the world. He can figure out a way to get something done in ten different languages that he knows absolutely nothing about. He has done videos in languages that cannot be translated. Kevin is impossible and damn good at it. Alan is a true diplomat. Since becoming the WPO International Board Chair he gets to practice his diplomacy every day with top CEOs all over the globe. He’s really, really, really good at it. Except when he’s at the office and someone leaves a dirty dish on the counter. He’s not so good then. Candace is a hyper-organized movie buff that has a mild obsession with a balanced spreadsheet. Candace eats expert Sudoku puzzles for breakfast and transfers project management skills into a tactical advantage while playing Call of Duty. There isn't a project she can't manage or a bow she can't rock in her hair. Candace is like the cashew to our trail mix. Sharon is the best pinch hitter ever. She is extremely dependable and comes from a writing background. Sharon is married to Kevin, and when Kevin is in the bowels of the earth, Sharon is calling the shots from the surface. 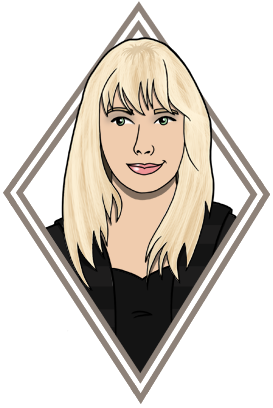 Krystle is a devoted indie music junkie who spends most of her spare time with other indie music junkies. “If you love indie music so much why don’t you marry it!” And so she did. 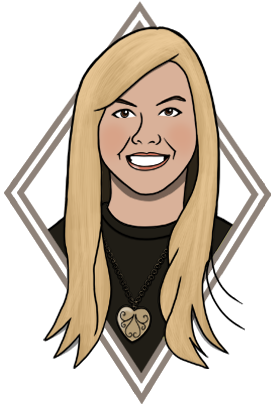 Krystle is a genuinely nice person and arguably the best account manager in the building. Unlike other nice people you may know, she’s the real deal, always having a good day and wearing a smile like she’s doing it a favour. We’ll give you a nickel if you can put her in a bad mood. Gigi is the smartest dog infinitycomm and Leanne have ever had. Sometimes we feel bad calling her a dog because we think she takes offence to it. She has a Bully Chew addiction and is the Human Whisperer. If you were to ask Gigi, “You know what I mean?” she would know what you meant. Gigi was born on the same day as the Royal Wedding – she’s kind of a big deal.